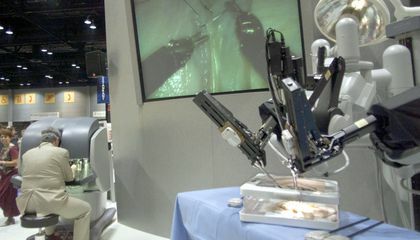 Robotic surgery offers many benefits to patients . I think this is a bad idea because what if it gets hacked or breaks down then everything will break down. 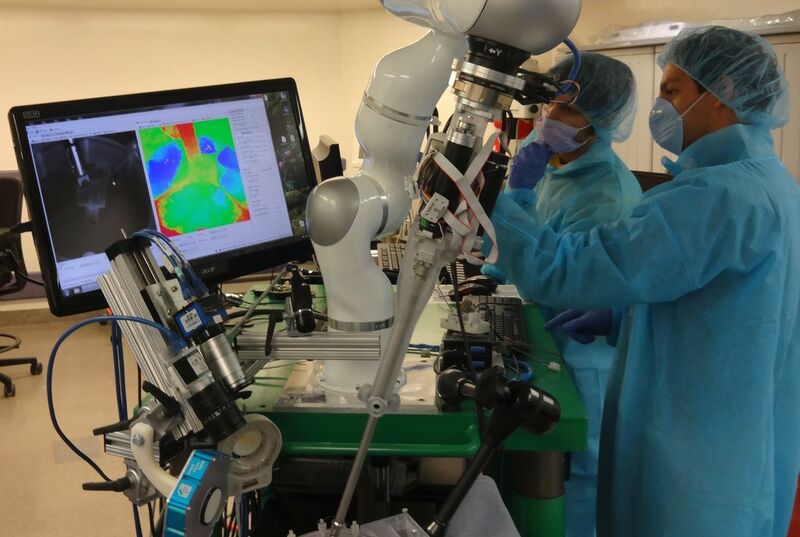 Advantages of robotic surgeons are they fallow procedures, know what they are doing, they are trained, they are responsible, and they have everything organized and thought through. I personally would not let a robot operate on me because I don't even like actual doctors rather than having a robot doctor. I would not trust a robot doctor because what if they dysfunction. This ,I belive, is not a good idea.Because what if the machine breaks or gets hacked?This has to many risks and I would never let this machine operate on me. I would let a robot work on me because I think they're more precise. Plus, they aren't always on their own. Real live people watch and direct these machines. The advantages is that it will be faster. Also it has a chance of doing better then a professional. I believe It will go faster and not get tired. But when there are advantages there are also disadvantages. For example what would happen if it ran out of battery in the middle of surgery? Or if it broke? I wish there was a survey on who would let robots work on then and who would not. I would be Interesting to se the results. To answer the question, no I would not. What if there is a malfunction and I get hurt. There would be less jobs. The researchers had been able to build an autonomous operation robot that would be replacing human hands from the operation on certain things while they are testing out the autonomous operation robot. The autonomous operation robot would be replacing doctors on operating an patient and letting the operation robot doing the operation on the patient instead of the doctors doing the operation on the patient. The operation robots would be able to replace the human hands to the work of the operation made by the robots that is better than using humans in operations. The robot would be able to do the operations instead of humans doing the operations which the robot had gotten its design after the autonomous cars had been made. Critical Thinking Question: What are the advantages of robotic surgeons? Answer: I know that the advantages of robotic surgeons is that the advantages of robotic surgeons is that the robots would be able to do a better job than humans had it wouldn't need anything to operate by the human hands. What about if the robot shuts down mid surgery? Or the power goes out? Or the robot gets hacked?